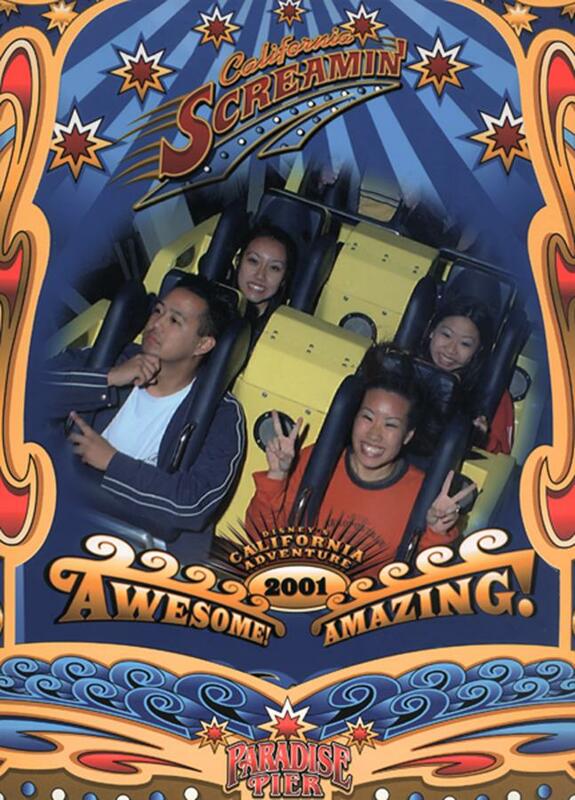 This is myself, my friend Annie (next to me), her roomate Sharlene (behind her) and her friend Sylvia on California Screamin and Disney's new theme park, Disney's California Adventure. As always, I have been EXTREMELY busy lately. I worked my last Disneyland shifts during Winter break from school. No more Splash Mountain or Jungle Cruise, im off to the new park, Disney's California Adventure. 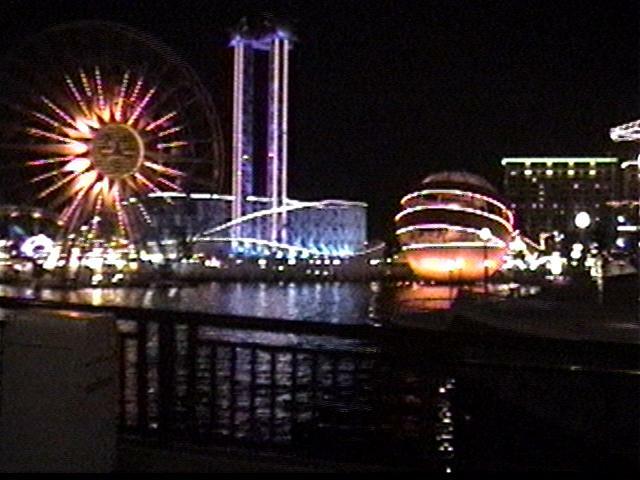 On the 7th of January, there was a Cast Member Preview, the park officially opens in Feburary. So now Im back at school, working on changing from a Computer Science major to a Business Administration major, and working at the new park in the Animation Building, and trying to save money for the trip to Florida in March. So for now, here are some pics that I took at the new park. 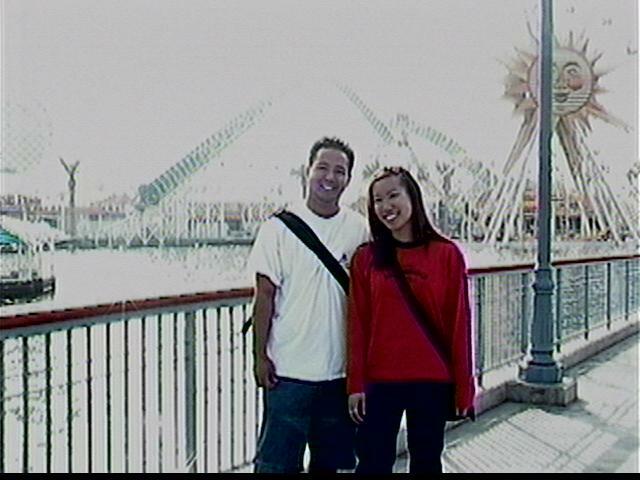 This is Annie and me in front of Paradise Pier, as you can tell it was a bright day, in the background you can somewhat see to the left is California Screamin, and to the right is the Sun Wheel. 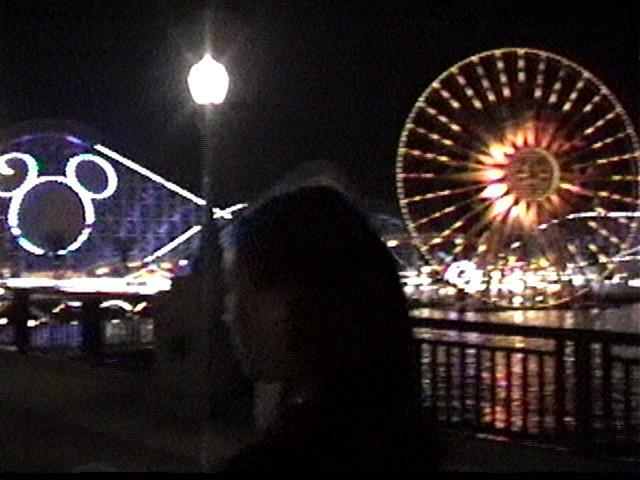 This is what Paradise Pier looks like at night. Tell me what you think about the page by SIGNING MY GUEST BOOK!!! DON'T FORGET TO SIGN THE GUESTBOOK AND TELL ME HOW YOU LIKE MY PAGE AND ANY SUGGESTIONS YOU HAVE. FISH TRICK, Check this out, it is cool!!!! !